Thousands of Maryland families are already preparing to sit down for at least one plentiful Christmas meal this holiday. Unfortunately, not all individuals and families will be so lucky. Statistics show at least 1 in 9 people in Maryland suffer from food insecurity- that’s nearly 665,500 people who are struggling to get enough to eat right within our own communities. In addition, a number of families are reminded about great losses they have suffered throughout the year; family members lost, loved ones deployed, or families who have suffered devastation at the hands of natural disasters. The holiday season is a time to reflect on what we are truly thankful for in life, as well as a perfect opportunity to extend a helping hand to those around us in need. To help ease the pain some families may be experiencing this year, our team at D’Amore Law will be providing 5 deserving families with a fully prepared Christmas meal this holiday and we need your help to decide who is in the greatest need. 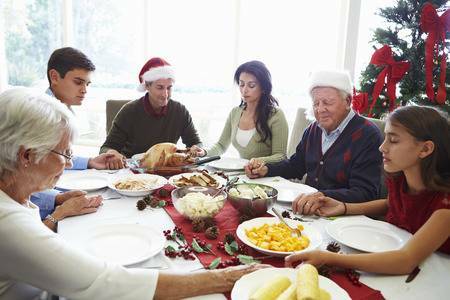 Any resident of Maryland can nominate themselves or another family for a free Christmas meal this holiday. Out of the nominees, D’Amore Law will choose 5 deserving families (up to 10 family members each) who have fallen on tough times and are in need of a warm, comforting holiday meal. Like D’Amore Law on Facebook to receive a message from us to the link for the nomination form. Enter all necessary information: name, number of family members (up to 10), the address for the meal delivery, phone number, email address, dietary restrictions. Complete a short essay explaining in full detail why you are nominating this family. Help D’Amore Law give back this holiday season. Nominate a family today!